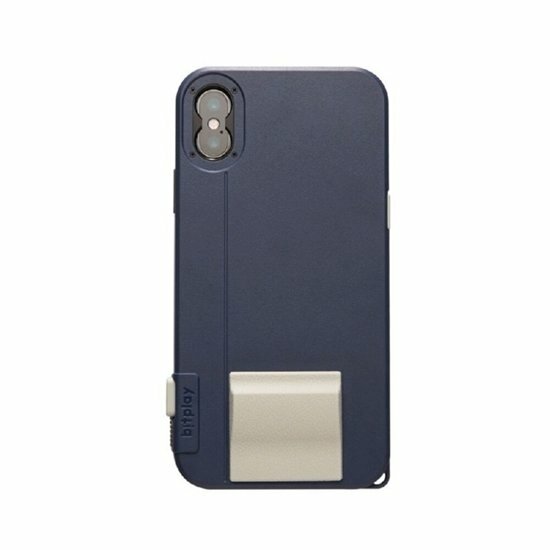 A dual-lens iPhone x photography case, available in four exclusive colors. Better photography with your every day, most-used camera—for those special moments and lasting memories. With a patented physical shutter button, redesigned handles and an incredible collection of lenses, snap! X delivers the most authentic mobile photography experience you can get. Select a unique color-combination for your case and handle, making a more personal snap! Experience that works with your style choices. The delightful color pairings hint at flair and sophistication. The adhesive-silicone handles are interchangeable, so you can switch things up for a fresh look. Mix and match colors for your own unique feel and re-use whenever you want. There’s an included storage pad, and the adhesive strength can be restored AFter long-term use with a quick splash of water. The first snap! Case to incorporate a double lens mount. That means there’s a separate mount for each lens of the iPhone x’s dual lens camera—unlocking dramatic new creative possibilities. Try a premium HD telephoto lens with iPhone x’s telephoto lens for up to 4 x optical zoom, or get twice the width with a premium HD wide angle lens on iPhone’s wide lens. There’s a world of Bitplay lenses to discover. A complete, professional range with natural color reproduction and precise construction. Fitting securely onto your case in a snap, there’s wide angle, fisheye, macro, telephoto and more available— including a brand new CPL filter to create jaw-dropping scenes and magical results. Snap! Cases have always been built with protection in mind. The dual-layer engineered construction ensures that your iPhone x stays safe. The tough, scratch-proof polycarbonate outer shell and soft tpu shock-absorbing inner function together perfectly, dispersing impacts and protecting your investment.